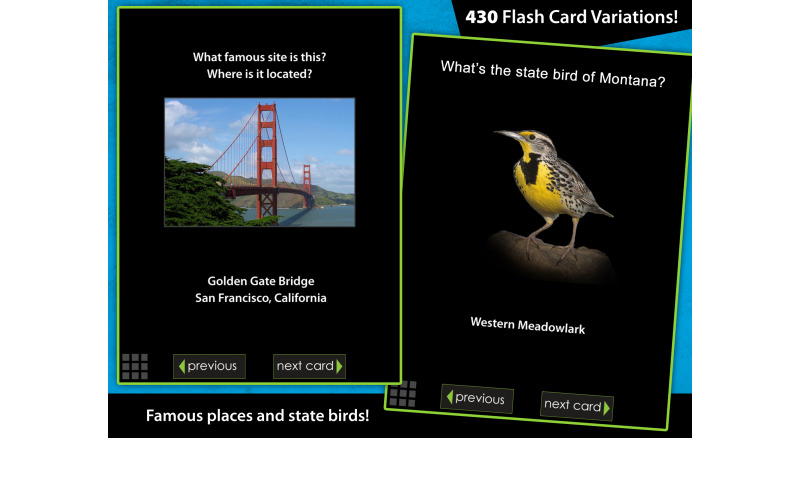 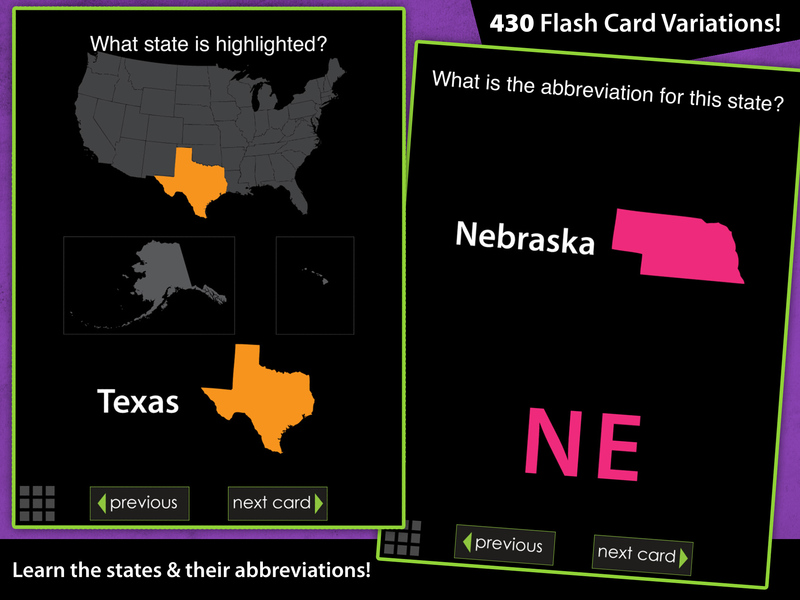 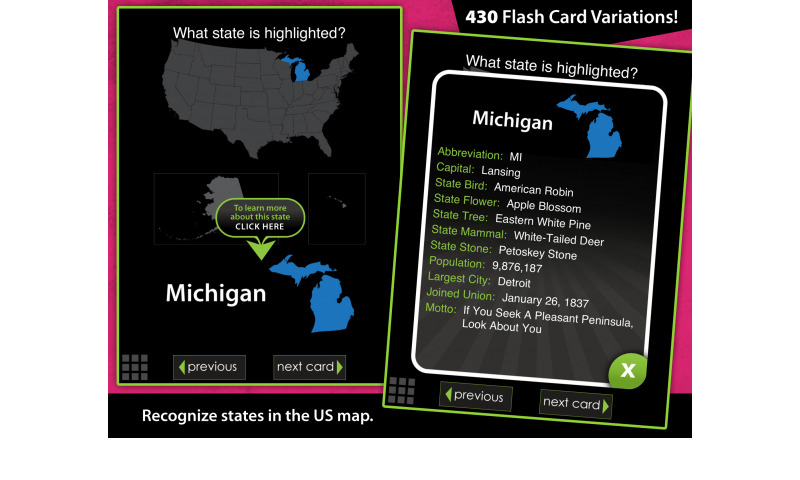 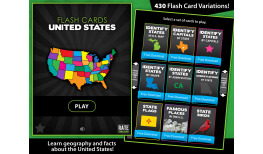 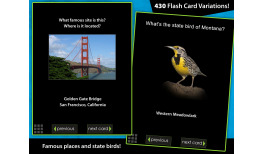 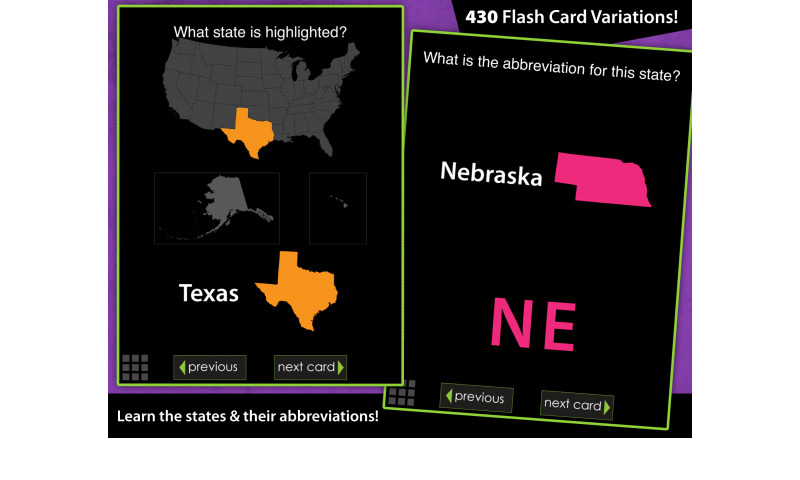 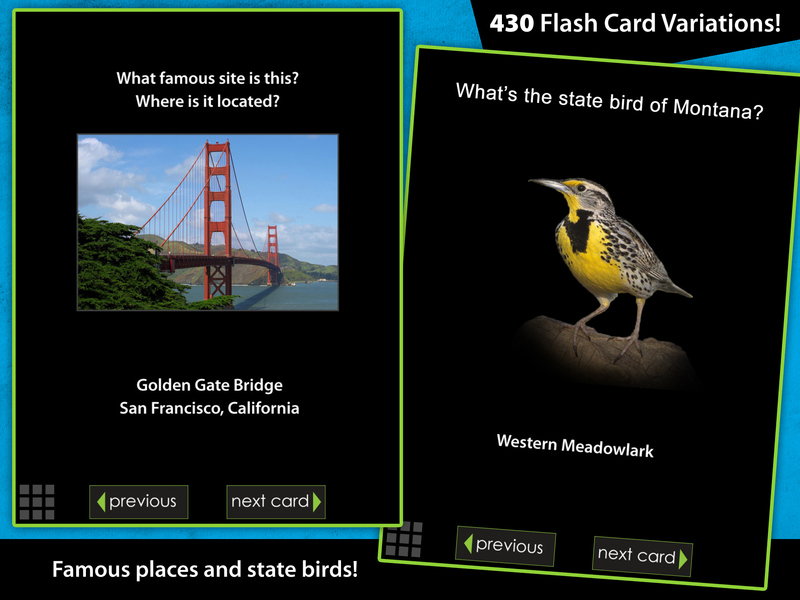 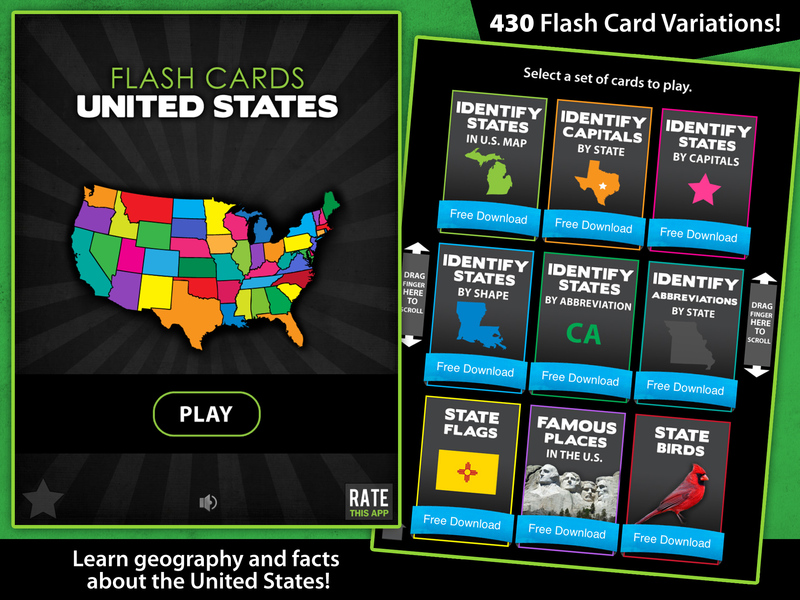 Flash Cards - United States helps both children and adults learn geography of the United States. 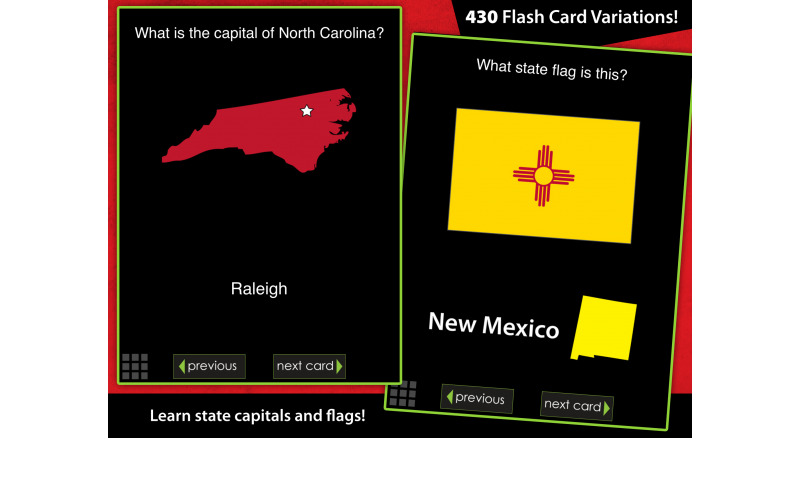 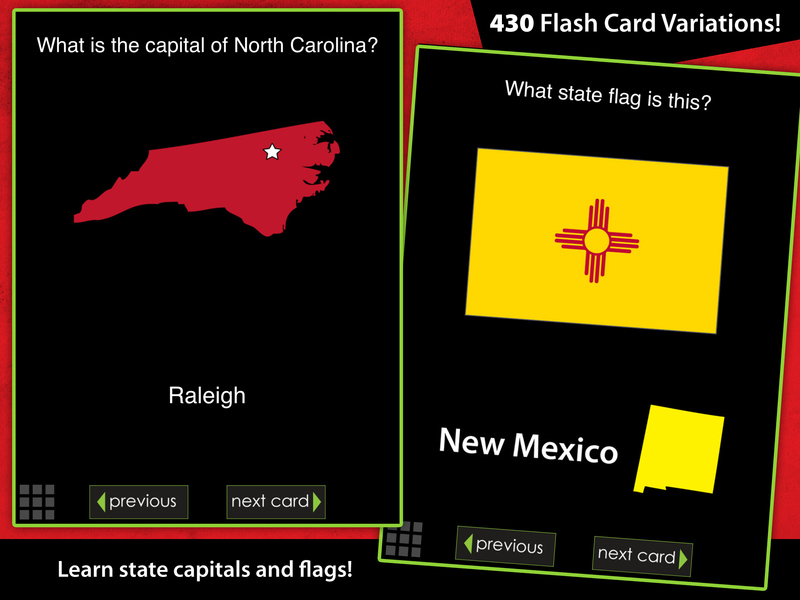 This educational app for kids teaches basic trivia about United States geography, such as states and state capitol recognition, correct state abbreviation, state flags, and famous U.S. destinations. 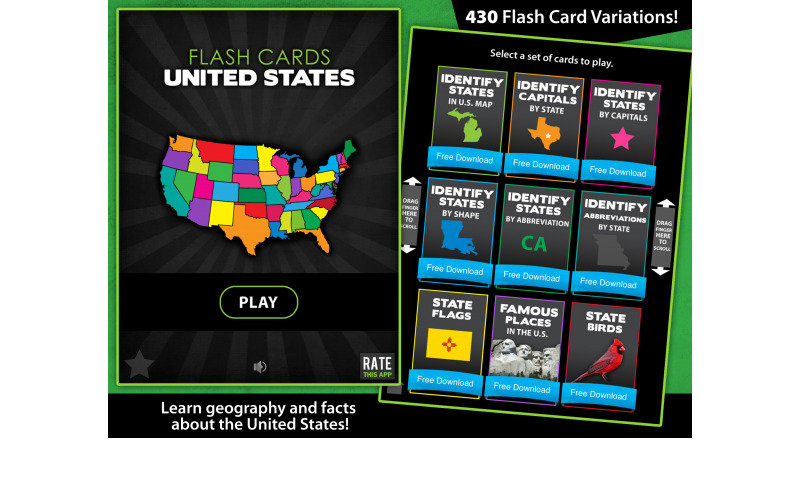 Various fun facts about each state are taught as well. 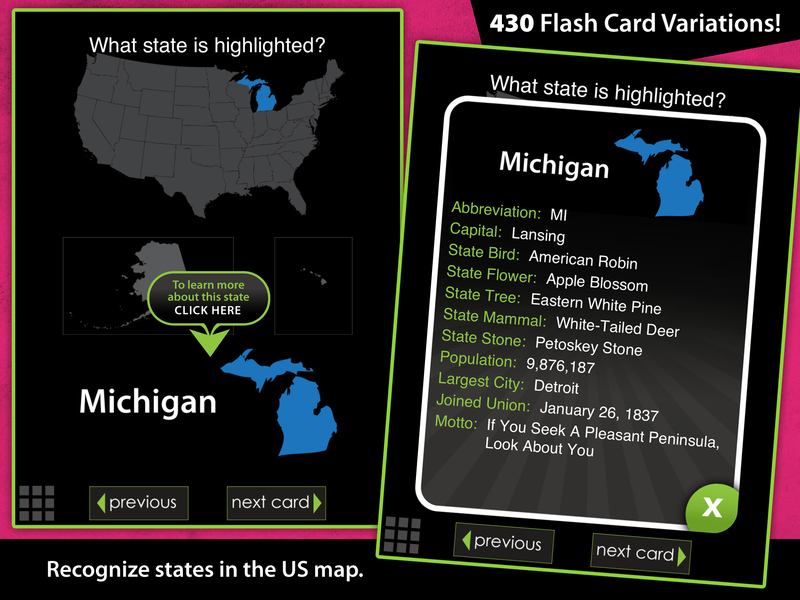 Famous Places in the U.S.